Our technically-advanced disabled lifts for wheelchair users offer a huge range of benefits. As a well-established UK lift company, we can advise on every aspect of choosing and using a range of disabled access lifts; no matter whether they are for domestic or commercial purposes. From stair lifts and step lifts through to disabled lifts and home wheelchair lifts, here at Axess 2 we offer a fantastic range of lifts that are both incredibly versatile and easy to use. Axess 2 can provide an assortment of both indoor and outdoor disabled access lifts to overcome any problem. These lifts are designed to meet all of your accessibility needs and constitute a low maintenance access solution. Axess 2 commercial lifts are timelessly stylish, with a number of contemporary design features. We can also supply truly bespoke lift options, thanks to the fact that you can choose from a wide selection of colour and material options. Whether yours is an indoor or an exterior lift system, we can ensure it meets all health and safety requirements while also looking stylish and performing flawlessly! Platform lifts are an increasingly popular option when it comes to disabled access and lifts for wheelchair users. 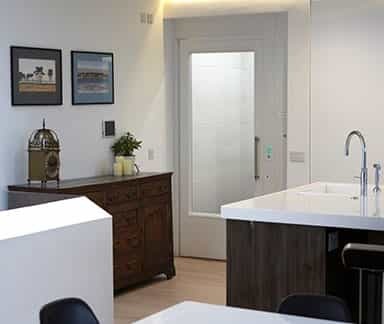 These lifts are an ideal option for use in the home and also for public access too, making them a hugely flexible option. This type of lift essentially consists of a platform which is raised and lowered by the power of hydraulics or a traction system. At Axess 2 our range of disabled lifts includes a wide range of options, to suit your needs perfectly. 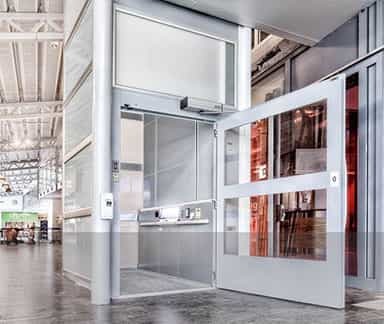 The Traction 400 (Leonardo) and Hydraulic 500 (Rafael) disabled lifts from Axess 2 offer the style of a traditional passenger lift with enclosed cabins and automatic sliding doors. These options are often preferable to chair or stair lifts as they are quick and easy to use, and do not require the passenger to leave their wheelchair. 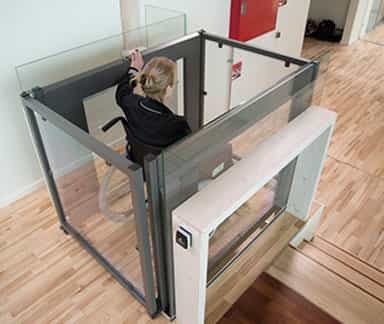 Platform lifts are also controlled by the user, offering increased independence around the home, school or workplace. 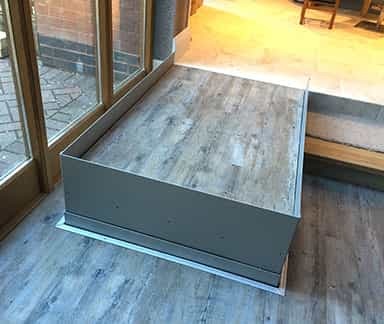 Our disabled access lifts and wheelchair access lifts are available in a wide selection of different styles and finishes, and are designed to complement both modern and also more traditional buildings. At Axess 2, our lifts are regularly used in some of the most prestigious establishments in the UK, so with us you can rest assured that you are getting a product of the highest possible quality. We pride ourselves not only on the quality of our lifts, but also on the superior nature of our customer service too, so you can always be confident of receiving the very best service from us. If you would like more information about our collection of disabled access lifts and wheelchair lifts, or any of the other options that we offer, please don’t hesitate to get in touch with one of our friendly advisors today by giving us a call on 01200 405 005.